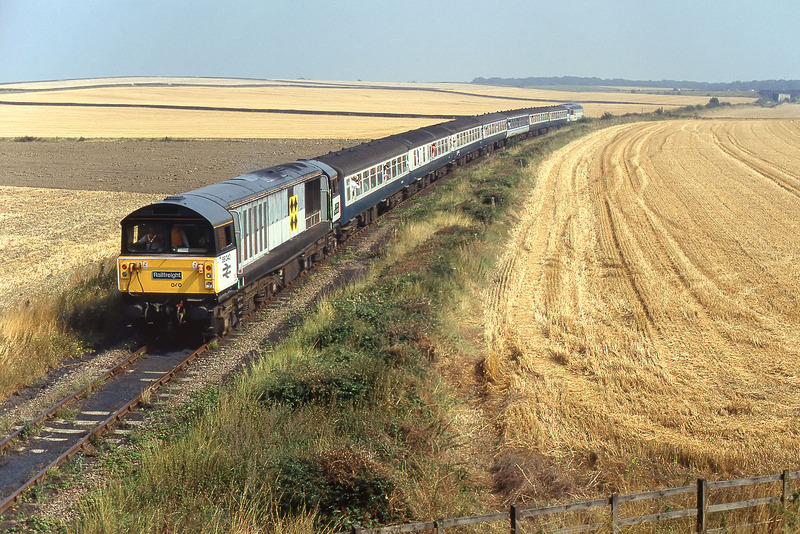 58040 Cottam Power Station runs along the freight only line near Oxcroft Junction on 1 September 1991 with the 2G91 10:20 Worksop to Elmton & Creswell Worksop Depot Open Day Special. 56007 is leading the train towards the bridge under the M1 motorway, which can be seen in the background. This line has subsequently been closed and lifted.